❤Recent Origins Purchases❤ "Modern Friction" & "Ginzing Energy Boosing Moisturiser"
Today’s post is going to be about two cheeky Origins purchases! I have honestly asked myself how much more skincare do I need haha?!. 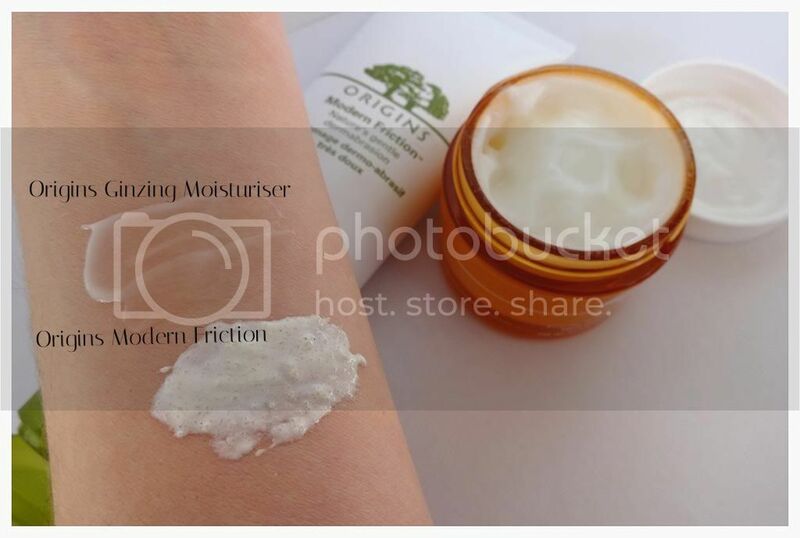 Over a month ago I made quite a large Origins Order and received “modern friction” as a sample, and since using it I haven’t looked back.. its ahh mazing stuff :) So I knew that as soon as my sample had run out that I was going to need to purchase the larger size. I then decided to check out the Ginzing Moisturiser, as it has been raved about all over the blogosphere recently, so that also made its way into my shopping basket. I have been using “modern friction” for well over a month now at around twice a week, and I have been using the Ginzing Moisturiser for around two weeks now, so I thought it would be a good time to let you know how I’m getting along with both of these products. I hope you enjoy this post lovelies, and as always if you have any questions or would just like to leave your links, then go ahead and put them in the comments section for me to check out. I absolutely love hearing from all my loyal readers, so don’t be shy! – You can always tweet me as well, if you have any specific questions or requests for me to answer. Firstly, I would like to thank Origins for making such an amazing exfoliator that I actually like. I always seem to have niggles with exfoliator's as I'm never 100% happy with either the consistency or result. However, since using Modern Friction my opinion on exfoliator's has done a complete 360! Described as Nature's Gentle Dermabrasion, Modern Friction is a rice starch exfoliator cushioned in cream to make the exfoliation a lot more gentle. Lemon Oil kick starts the process of beautiful illuminated skin, and Vitamin C works hard to get rid of skin menacing free radicals. Modern Friction also contains aloe to help soothe the skin during the exfoliation process, as well as peppermint oil to help protect the skins surface from breaking out. A brand new addition to the Origins moisturiser family, and a very good addition at that. I have used the Origins Ginzing Eye Cream, and was so excited that there was another Ginzing on the block! - However, I resisted buying it for a while as I literally have only just purchased the Origins "Make A Difference+" but being a true beauty blogger I knew it wasn't going to be long before I added this to my skincare collection. The Ginzing Moisturiser is described as being an energy boosting moisturiser that instantly perks up your skin in the morning. Light weight and oil free this moisturiser uses caffeine and panax ginseng to really rev your skins hydration levels. We all know that Coffee is famous for waking us up, and giving us a bit of ooomph! and this is exactly what this moisturiser does for the complexion. Overall, I have been loving this moisturiser for the morning as it really does make my skin feel "ready to go" The scent is also absolutely amazing and It smells like fresh Orange Juice, which makes it even better to put on in the morning yummy!. It brightens your complexion, but at the same time it doesn't add too much illumination which makes it great to put under make-up. I also love the fact that it has such a light weight gel/cream consistency, which makes it perfect for my normal/combination skin. I wouldn't use this in the night (even though it would be fine to do so) as I find it such an invigorating moisturiser, and I'm a pretty bad sleeper! so I will be keeping this little baby for the morning times, and using my Make A Difference + treatment in the evening. I love modern friction and really want to try ginzing! I've been umm-ing and agh-ing over the ginzing moisturiser for a while now but after reading this I think I have to go for it! Great review! The moisturiser is divine isn't it :) My skin looks full of energy when I use it in the morning which can only be a positive thing. Great picks! That exfoliant sounds amazing! Also that moisturizer does too, I'm a sucker for a good scented moisturizer!! i've heard amazing things about the ginzing moisturizer! sounds lovely for tired mornings! I absolutely love Modern Friction. It really works to exfoliate, but doesn't strip the skin of everything. 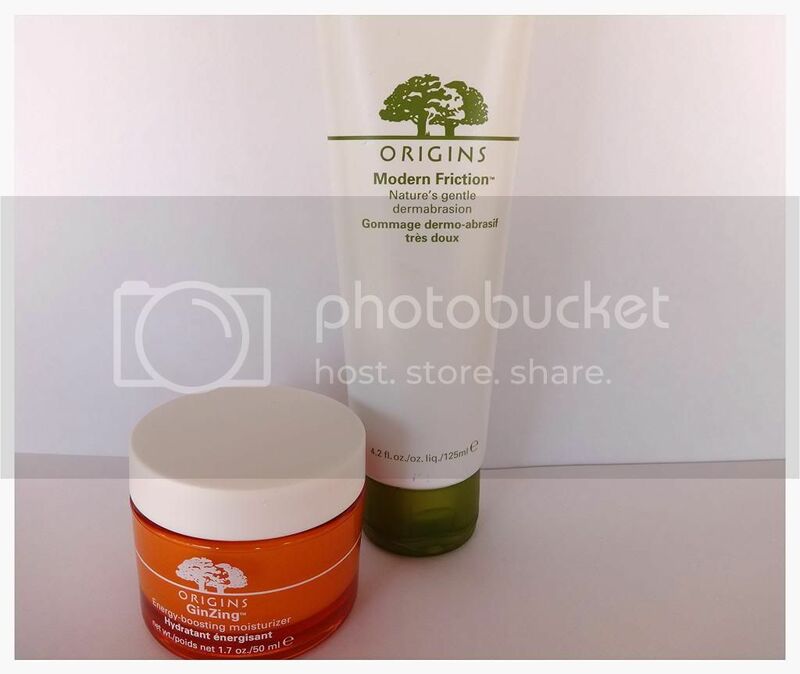 I have loved every single product that I have tried from Origins! Vitazing changed my life! Great post!